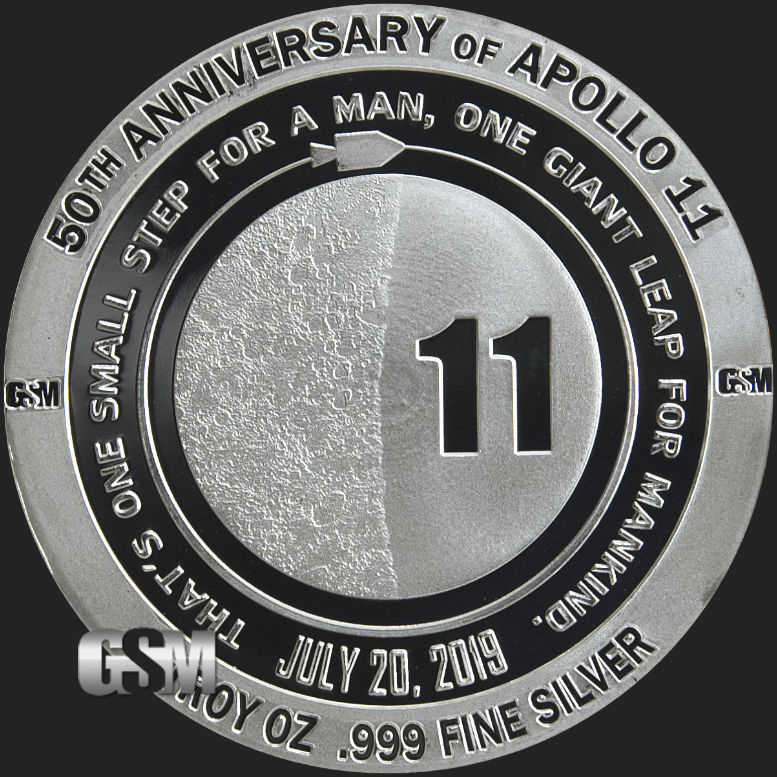 Golden State Mint is excited to offer a very limited mintage of 5,000 of this beautiful 1 oz Apollo 11 50th Anniversary design in this beautiful Silver Proof piece. 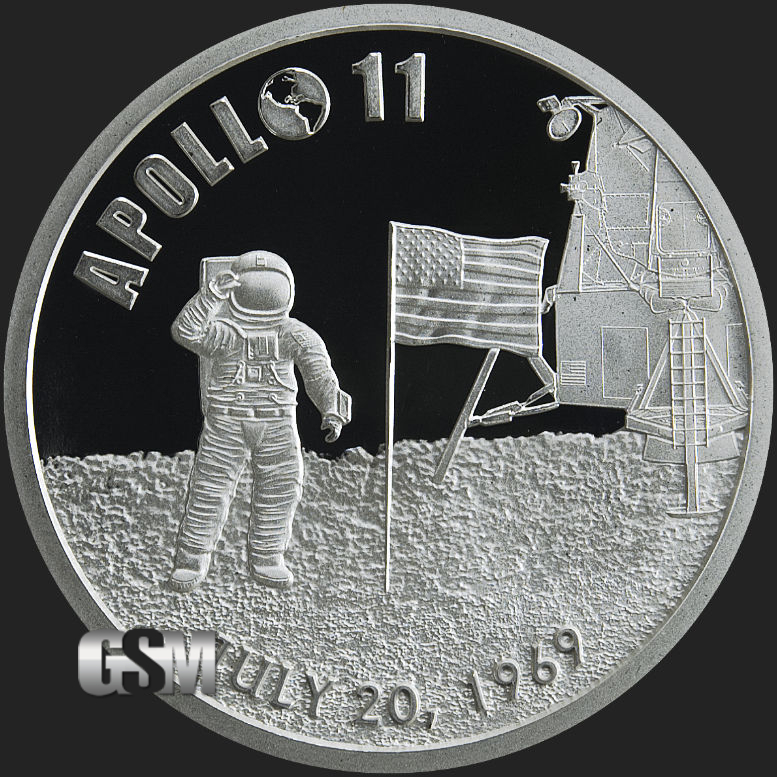 On the obverse, you will see an astronaut on the surface of the moon with the US flag planted and the Apollo lander in the background. Around the top left, it reads APOLLO 11 and around the bottom the date July 20, 1969. 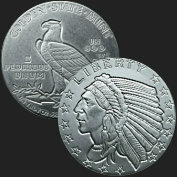 On the reverse side, a half phase moon with a large 11 incused into it representing part of the design of the Apollo 11 flight book artwork. 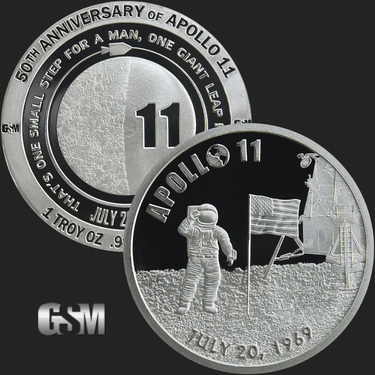 A small capsule module is circling the moon and around that is the famous quote "That's one small step for a man, one giant leap for mankind". 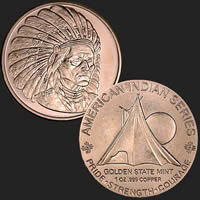 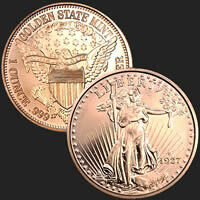 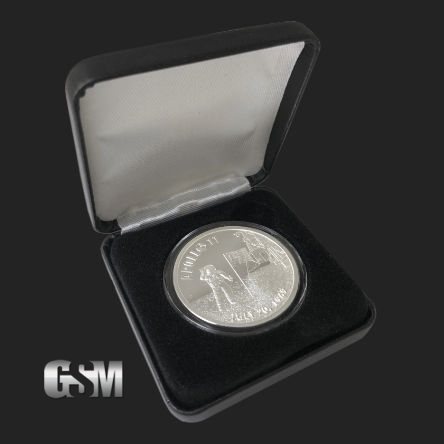 Around the rim, the words One Troy Ounce .999 Fine Silver and 50th Anniversary of Apollo 11. 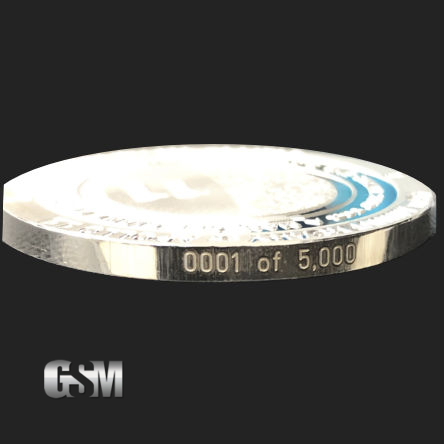 This product comes in a capsule and in a Black Leatherette display box.